Bhide was booked in a violence case along with another Hindutva leader Milind Ekbote. 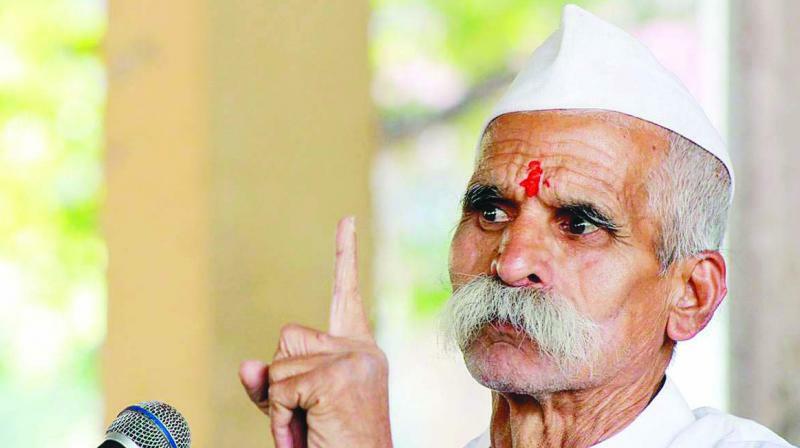 Nashik: Controversial Hindutva leader Sambhaji Bhide has said that a number of couples were blessed with sons after eating mangoes from his orchard. “Mangoes are powerful and nutritious. Some women who ate mangoes of my garden have given birth to sons," Bhide said addressing a gathering in Nashik last night. During his speech, Bhide gave various references from the Ramayana and Mahabharata and attacked the current political and social system. Mr Bhide, a former RSS activist who heads the Shiv Pratishthan Hindustan, is an accused in the January 1 Bhima-Koregaon caste violence case. One person had died during the clashes between members of the dalit and Maratha communities around Bhima-Koregaon village in Pune district during the bicentenary event of the Bhima-Koregaon battle in which British forces comprising a large number of dalit soldiers had defeated the Peshwas, who represented the Maratha empire. Dalits view the 1818 battle as the defeat of “casteist” Peshwas, who were Brahmins. Mr Bhide was booked in a violence case along with another Hindutva leader Milind Ekbote.